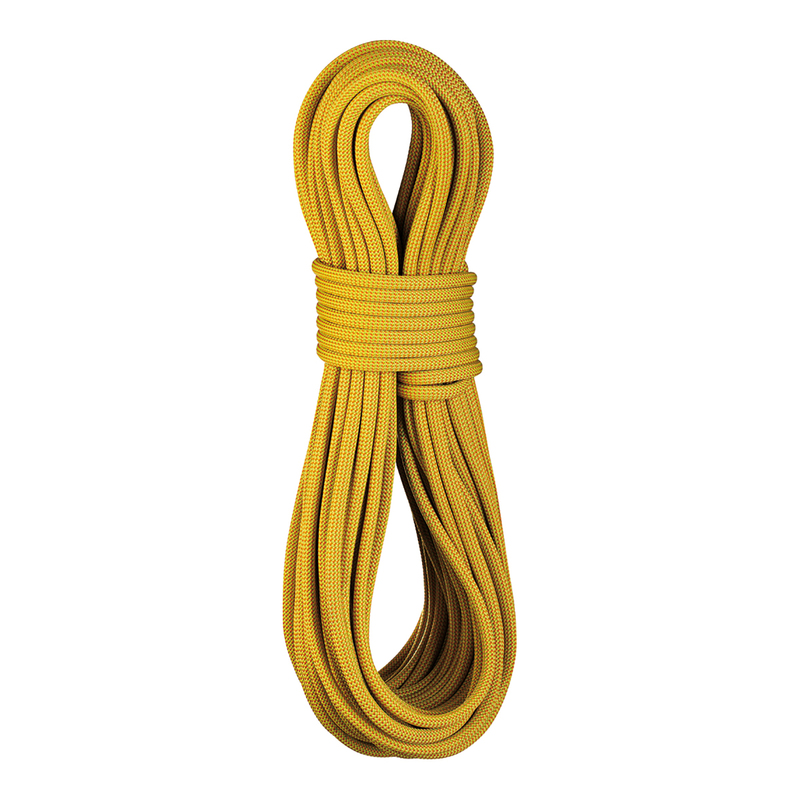 The Edelrid Kestrel Pro Dry 8.5 is an extremely robust half/double rope with the Pro Dry treatment. Durably water-repellent and dirt-resistant, the Edelrid Kestrel Pro Dry 8.5 is fully protected against water absorption and from freezing in cold temperatures, with an abrasion-resistance and smooth handling that make it ideal for all winter environments. Edelrid's Pro Dry ropes receive the highest level of protection Edelrid offer. First, Edelrid treat the core yarns, then, after the braiding process has finished, they treat the core and sheath together to produce a rope that is durably water repellent and dirt resistant, able to dry quickly, absorb virtually no water, and are resistant to freezing in cold temperatures. This finishing also improves the gliding characteristics of the individual fibers, which makes the rope more abrasion-resistant and extends its lifespan. Pro Dry is the first ever finishing process that makes it possible to produce extremely narrow diameter ropes without compromising on performance. The Thermo Shield Treatment is a heat process that stabilises individual yarns, ensuring the rope stays soft, supple, and pleasant to use throughout its working lifetime. grabbed this a while back and only got to use it recently. Very nice handling and feel to this rope. Used it double on some short single pitch climbs. Light weight and feels easily. Need to be aware when lowering as it flows through some devices quite easily. Great half way marks ans has stood up to being dragged across rocks really well. The ropes are very nice to handle. Seems to be good value. Very good rope, it works great for flyover and multi-lift.